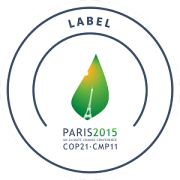 The AGEDI team leveraged its Blue Carbon knowledge to contribute to climate change discussions at the Conference of Parties (COP), COP 21, in Paris, France. 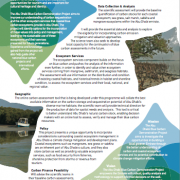 The team highlighted Blue Carbon in panel discussions in the IUCN Pavilion, Taking Implementation of Policy, Programmes and Projects of Blue Carbon Ecosystems to Scale: Identifying the Priority Next Steps and during a speaking opportunity at the GCC Pavilion on GCC regional efforts in their adaptation actions through: water conservation, marine protection, urban planning and desertification; including their mitigation co-benefits. The GCC Blue Carbon workshop was also discussed at the UNFCCC and UNEP Lima Adaptation Knowledge Initiative (LAKI) session, and the team also ensured a Blue Carbon contribution to a side event showcasing the Arabian Gulf and Red Sea regions’ efforts in their adaptation actions through water conservation, marine protection, urban planning and desertification, including their mitigation co-benefits. 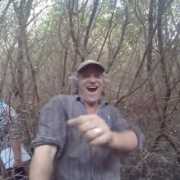 Learn more about AGEDI’s Blue Carbon work here. Here’s a video from the conference. Punta del Este, Uruguay – The UAE Ministry of Environment & Water (MoEW) recently hosted a side event in the 12th Conference of the Parties to the Ramsar Convention on Wetlands (COP12) – a successful side event that was attended by 120 delegates from different countries and international organisations, and saw the UAE being accepted to host the next edition, COP 13, in Dubai in 2018. 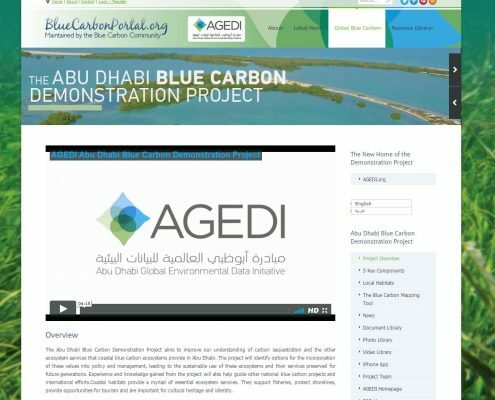 AGEDI’s work on the Blue Carbon Project in partnership with MoEW was highlighted at the dedicated side event, as well as key UAE sustainable projects and events, including the upcoming Eye on Earth Summit and Ecocity World Summit, to be held in October this year in Abu Dhabi. 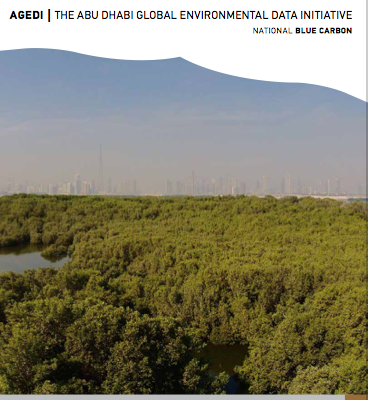 AGEDI’s blue carbon and ecosystem services outcomes support the UAE’s position to the Ramsar Convention; the country has been a party to the Convention since 2007, and has designated five wetland sites onto the List of Wetlands of International Importance (‘Ramsar Sites’), considered to be of high value to the country and the world because of the ecosystem services they provide. 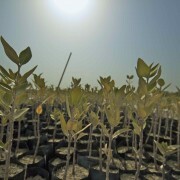 The nation’s wetland ecosystem is one of the most unique and diverse in the Arabian Peninsula, and includes marshes, vast tidal flats, fresh water aquifers, mangroves and coral reefs. 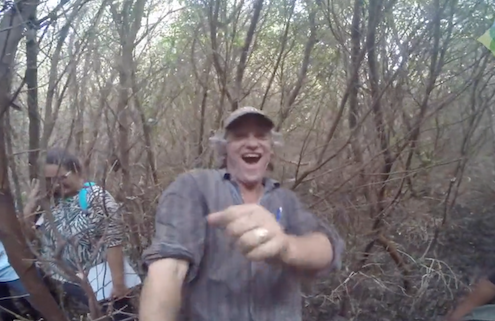 Stanford, CA, USA – AGEDI presented its Blue Carbon work at the 2015 Natural Capital Symposium – held at Stanford University – which gathers people from around the world that are working to factor the true value of nature into decision-making. 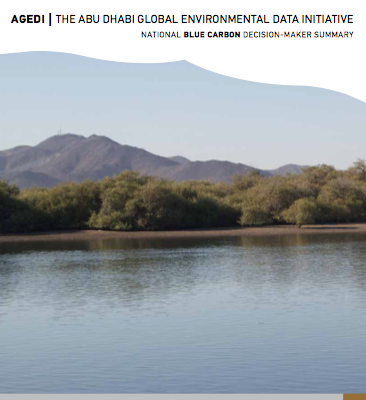 AGEDI participated in the Symposium’s Lightning Talks session, highlighting its Abu Dhabi Blue Carbon Demonstration Project and how the project findings have been used in Abu Dhabi’s coastal ecosystem management and climate change mitigation and development plans. 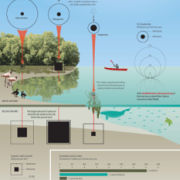 A new infographic was released in Abu Dhabi as part of the Abu Dhabi Blue Carbon Demonstration Project, to explain the Blue Carbon Ecosystems in Abu Dhabi and their potential value. 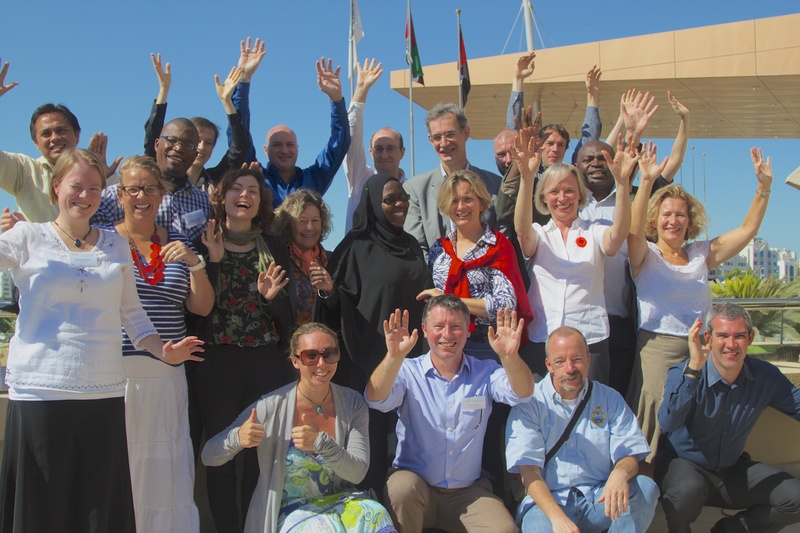 Senior Advisor to the Secretary General Environment Agency – Abu Dhabi (EAD) and Acting Director of AGEDI. 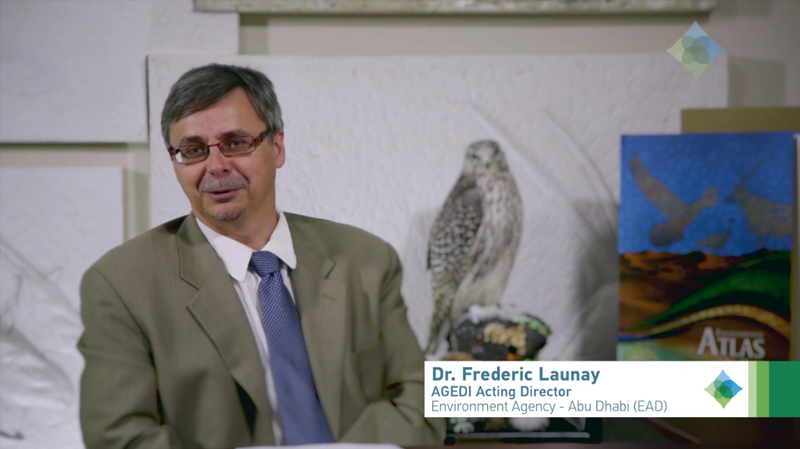 Dr.Launay shares his thoughts on The Abu Dhabi Blue Carbon Demonstration Project. 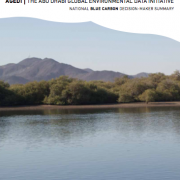 In just over 40 years, Abu Dhabi has evolved from a small fishing community to the largest and most populated of the seven Emirates of the UAE. 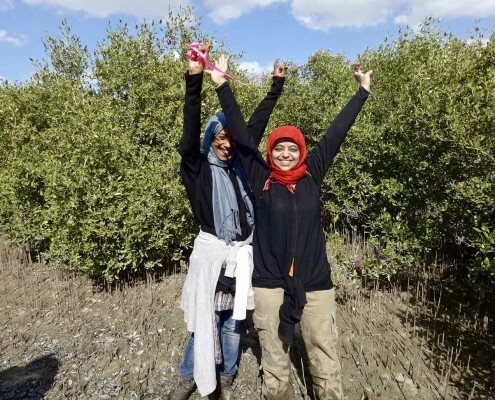 With the vision and direction from His Highness the late Sheikh Zayed Bin Sultan Al Nahyan, the environment has become an intrinsic part of the heritage and traditions of the people of the UAE. 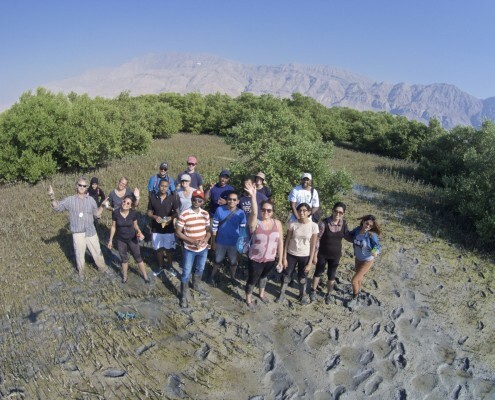 This national affinity to the sea has led to the initiation of the Abu Dhabi Blue Carbon Demonstration Project in order to explore the values which coastal ecosystems provide the UAE, and to help preserve our environmental and cultural heritage. 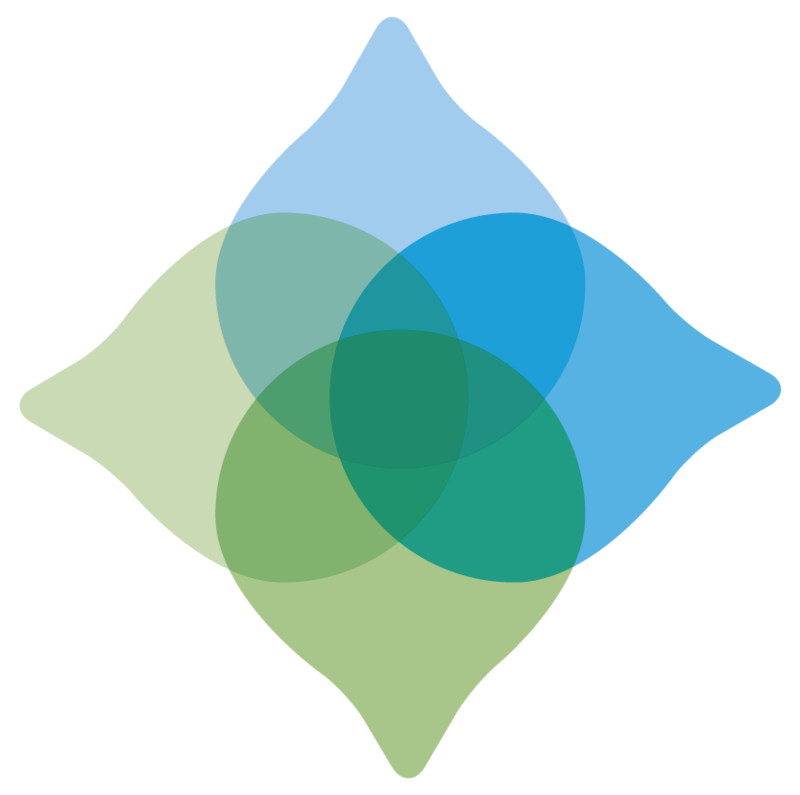 The project will run for 12 months.